“I was lucky enough to go to Japan for three weeks and work with experts in biological growth factors. It was an extremely rewarding experience,” says Gamlem. Photo: Eivind Senneset Bergenhus, UiB. “My work focuses on whether post-smolt grow and perform equally well in the semiclosed system, PRELINE, as in open reference cages,” says Gamlem. 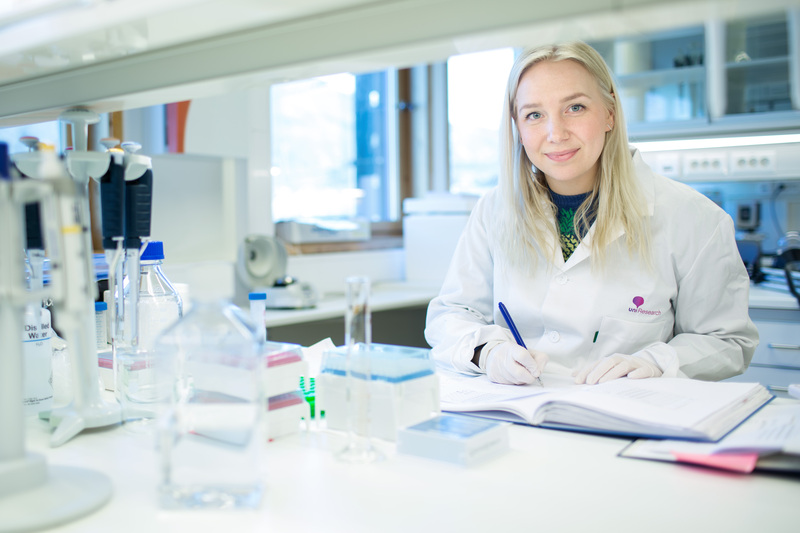 Additionally, she is investigating if biological growth factors, such as the protein IGF-I, can be used as a tool to evaluate and predict growth in Atlantic salmon post-smolt. This is clear from laboratory studies, but has not been validated in large-scale systems. “To make closed systems a reliable and economically viable technology, my contribution will be to clarify the production potential in a semi-closed system. “These innovative systems have the potential to solve some of aquaculture’s major challenges, whilst also being vital to the industry’s ambitious future. I absolutely want to continue to work in this field if the opportunity comes my way,” says Gamlem.